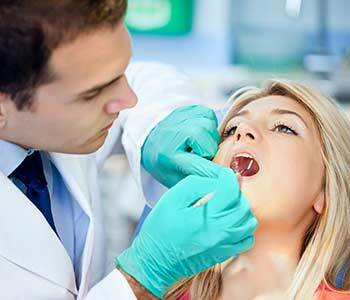 Biodentist Alabama lives up to its name; as practitioners of biological dentistry, we take the safest, least toxic approach to dental treatments. To truly live these principles, Dr. Nathan Pfister and Dr. Brian Pfister place body-friendly filling materials and linings under fillings that support healing from cavity demineralization and bacterial irritation. Biodentist Alabama also practices safe mercury filling removal in Dothan AL. Dentists have placed amalgam fillings for more than 150 years. These fillings are made from a mix of metals. Each filling contains around 40 to 50% elemental (metallic) mercury; 25% silver; and 25 to 35% copper, zinc, and tin. Elemental mercury is the same form of mercury used in some thermometers, barometers, and batteries. The U.S. Department of Health and Human Services Agency for Toxic Substances & Disease Registry lists mercury in its Toxic Substances Portal. The ATSDR notes one of the ways you can be exposed to mercury is through dental work. The nervous system is extremely sensitive to all forms of mercury. The agency reports exposure to high levels of mercury can damage the brain, kidneys, and pose health risks to developing fetuses. Mercury’s effects on brain functioning can result in irritability, tremors, vision and hearing changes, and memory problems. The International Academy of Oral Medicine & Toxicology notes there are more than 250 specific symptoms related to the body’s response to mercury in dental amalgam fillings. The IAOMT promotes research about the biocompatibility of dental products. 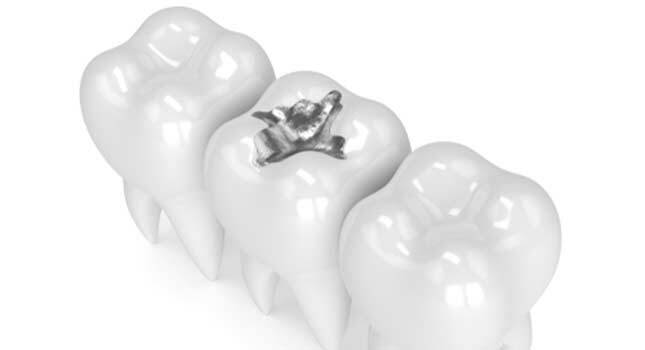 Dental amalgam fillings specifically release elemental (metallic) mercury vapor. Mercury vapor is emitted continuously through fillings. The IAOMT reports an estimated 80% of these vapors are absorbed by the lungs. Mercury vapor from dental amalgam fillings travels through the body, where it accumulates in most any organ – particularly the brain, kidneys, liver, lungs, and gastrointestinal tract. The ATSDR characterizes metallic mercury vapor as more harmful than other forms of mercury. More elemental mercury reaches the brain. Young children are particularly sensitive to mercury. Mothers can pass mercury to their unborn children. Mercury can also be passed from breast milk to a nursing infant. Mercury poisoning during pregnancy is associated with brain damage, seizures, speech problems, developmental delays, blindness, and impaired coordination. Mercury poisoning in children is linked to nervous and digestive system disorders, and kidney damage. Heat causes mercury to become more toxic. Heat is generated when you chew food or grind your teeth. The output of mercury is also intensified when amalgam is heated by dentists who follow the “standard protocol” when removing dental amalgam fillings. Drilling out amalgam fillings releases both vapor and tiny particulates that can be inhaled and absorbed in the lungs. This process presents health risks to patients, dentists, and dental employees. If mercury is not properly managed by dental offices, amalgam waste can be released into the environment. In fact, the U.S. Environmental Protection Agency reports dentist’s offices represent the single largest source of mercury at sewage treatment plants. Dr. Nathan Pfister is an accredited member of the IAOMT. Certification through this global network of dentists, clinicians, and scientists confirms that Dr. Pfister follows the proper process when removing silver amalgam fillings. He practices the highest standards of safety for his patients. Dr. Brian Pfister is also an active member of the IAOMT. He follows the organization’s strict protocols for the safe removal of dental amalgam fillings that contain mercury. A latex rubber dam isolates the filling from the back of your mouth. A specialized technique is employed to minimize mercury vapor production. Sophisticated suction techniques capture mercury vapor. A high-volume HEPA filter is placed at the chin to capture mercury that escapes intraoral suction. Positive oxygen pressure at the nose minimizes vapor entry during respiration. A whole-body gown is worn and disposed of immediately after treatment, so you don’t leave the office with contaminated clothes. 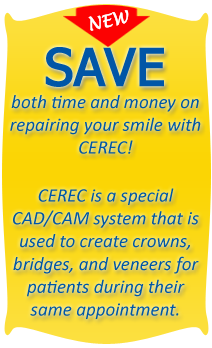 Air abrasion cleans the area under the removed filling, and creates the ideal bonding surface. Ozone/oxidation therapy de-contaminates the tooth of microbes and promotes healing. A soothing solution is applied to the tooth to replace minerals lost as the result of decay and bacteria. The nerve is isolated with a biocompatible build-up material (as needed). All amalgam particles are captured to protect the environment from mercury pollution. We refer patients to a physician for heavy metal detoxification. The above steps require considerable time and effort, but they ensure the safety of the patient, doctor, dental staff, and environment. 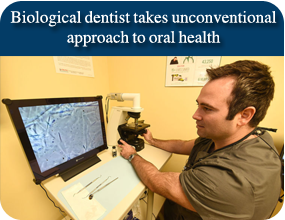 Call (855) 939-5566 to schedule a consultation at Biodentist Alabama in Dothan, AL.